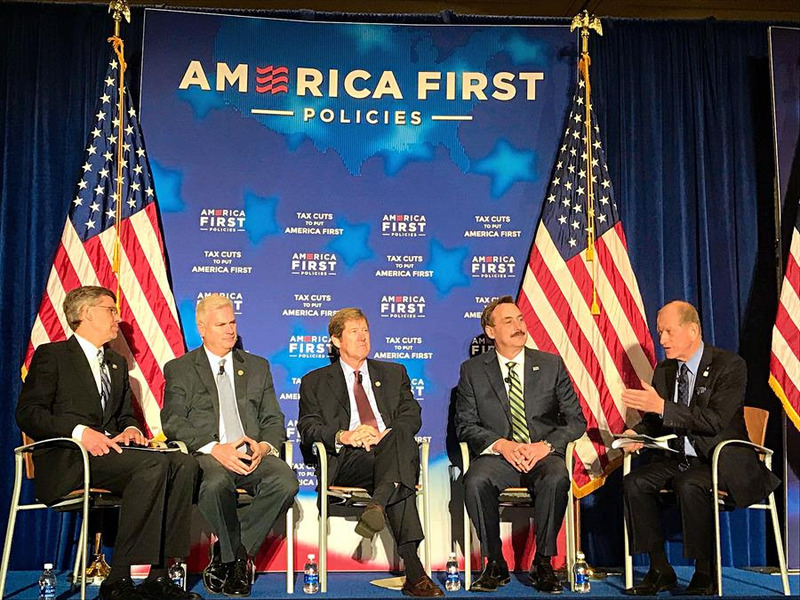 America First Policies made its 10th stop on its “Tax Cuts to Put America First” tour yesterday, March 28, at the Minneapolis Convention Center in Minneapolis, Minnesota. The event featured a panel with U.S. Congressmen for Minnesota, Reps. Erik Paulsen (MN-3), Tom Emmer (MN-6), and Jason Lewis (MN-4), as well as Mike Lindell, Minnesota native and the founder and CEO of MyPillow. The panel discussed how the tax legislation is affecting Minnesota residents, families, and businesses, and the nation as a whole. Following the panel, Congressman Paulsen introduced the Vice President to the crowd of about 650 people. “... When you add it all together, all told, we think these tax cuts will save the typical family of four here in Minnesota about $3,000 a year in taxes, and we think they'll unlock new opportunities for businesses to reward employees with higher wages, bigger bonuses, and better benefits,” said the Vice President. To view the Vice President’s full remarks, click here. To read more about the event, click here. To read the Vice President's op-ed on how the tax cut is impacting Minnesotans for the better, click here.